Our school kitchen is managed by HC3S. HC3S is the largest provider of school meals in Hampshire, supplying hot and cold nutritional meals to 445 primary schools across the county. HC3S also supplies 3 schools in Dorset and 11 in Wiltshire. Everything is cooked in our own kitchen by Mrs Hosell and her amazing team of cooks who have been awarded the highest grade of 5* for hygiene and food standards. 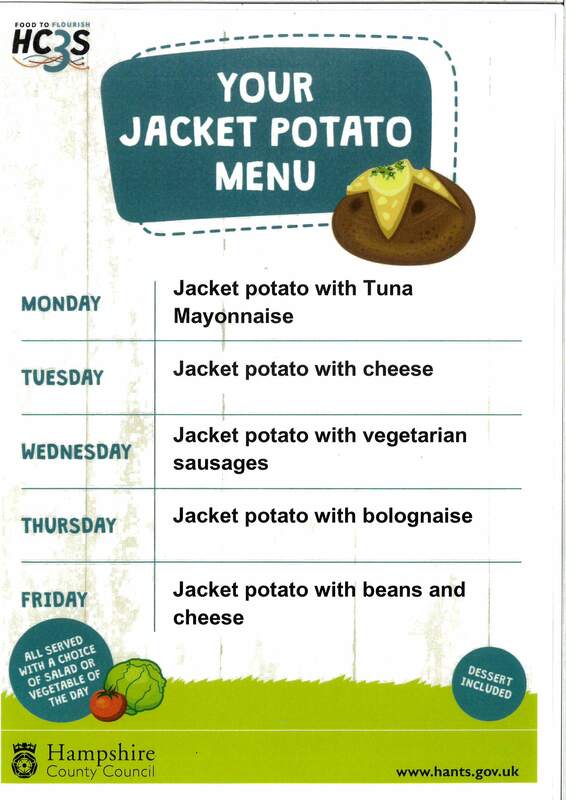 To view the 3 week menus please visit the Hampshire Primary Menu page on the hants.gov website. HC3S now have a Facebook page, HC3S Education Catering, so parents can see what is for dinner each day.